Thank you isn't just for learning manners. It's also for when something wakes a little hum—a happy little hum—inside you and you want to answer back. Little ones learn to say "thank you" when they receive something, but "thank you" is for so much more! This heartwarming book explores all the things to be thankful for—for puddles, for books, for family and home— and encourages children to be mindful of the wonders and gifts that surround them every day. 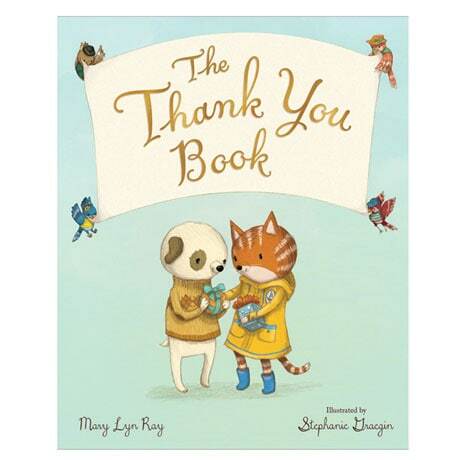 Featuring lovely illustrations and a soft, poetic tone, The Thank You Book is the perfect read as we approach the holidays, but is a wonderful reminder any time of the year! Ages 3 and up.